During the final days of March, President Donald Trump proclaimed that April would be the “Second Chance Month” of his presidency. On April Fools’ Day, he invited over 200 guests to celebrate his achievements in helping people leave prison, which fits, since criminal justice reform seems to be just Trump’s latest con. “My Administration is committed to helping former prisoners reenter society as productive, law-abiding citizens,” his proclamation read, but his administration’s other policies betray that promise. Since March 2017 when Trump’s Department of Health and Human Services began encouraging them to do so, 15 states have applied for permission to impose work requirements on Medicaid recipients. Seven states have been approved, although the requirements in Arkansas (the first state to institute the new policy last year) were blocked by a federal judge last week. They’re doing their damnedest to kick people off Medicaid because the 2014 expansion of the program was a cornerstone of the Affordable Care Act or Obamacare. This will hurt people leaving prison. Since the 2014 Medicaid expansion, former inmates make up a little over one third of those who qualify to be Medicaid recipients. Incentivizing work for people who can do it is necessary and noble. But work requirements become problematic for former prisoners because they are too often excluded from the workforce through discrimination. Last summer, the Prison Policy Initiative calculated the first ever unemployment rate for people who’ve been imprisoned: It’s a whopping 27%. That’s higher than it was during the Great Depression. Fervent, but fruitless job searches frustrate as many as half of the nearly 650,000 people who leave prison every year, for as long as six months after release. That’s when they’ll be tossed from Medicaid rolls, before they can secure a job that would allow them to keep health benefits — or pay for their own. I’ve never heard of a productive and law-abiding person who can’t access healthcare: Health is a potent crime fighter. Enrolling childless adults and people leaving prison in publicly-funded health benefit programs may correlate with reductions in serious crimes such as “burglary, motor vehicle theft, criminal homicide, robbery and aggravated assault,” according to a 2018 Clemson University Department of Economics paper. And it saves nearly $10 billion per year. The annual rate of reported crimes was 3% lower in states that expanded Medicaid than states that didn’t. The largest reductions in crime were accompanied by states with expanded enrollment in Medicaid. For the best example of Medicaid’s promise for reducing both crime and incarceration, look down south. For years, Louisiana was the country’s biggest incarcerator. It was a distinction that no state wants, unless, of course, their crime rate is extremely low. As the state with the highest murder rate, Louisiana’s crime rate wasn’t enviable. Just last year, Oklahoma surpassed Louisiana as the nation’s biggest incarcerator. Both states instituted new criminal justice reform policies around the same time (even if both states were improving), so they should have remained in the same position relative to each other. But they didn’t. What turned it around for the Pelican State was that it expanded Medicaid coverage during 2017 and subsequently, both crime and prison population rates reduced. Oklahoma stubbornly refuses to extend Medicaid benefits to populations that can really use them and, unsurprisingly, crime and incarceration has risen there, despite concerted reform efforts. The federal government should want to emulate what Louisiana did but, if Medicaid work requirements are as successful as the Trump administration wants them to be, they’ll dash untold numbers of formerly incarcerated people’s chances at becoming law-abiding and productive. Taking away someone’s health care because they can’t find a job is more than just unnecessarily punitive: It’s a setup for failure of anti-recidivism policies that the administration claims to support. Since most news coverage about Trump and justice reform is loaded with feel-good stories — like White House senior adviser Jared Kushner making a call to Walmart to get a recently released woman a job, or the president inviting two people to the State of the Union address — it’s easy to get the idea that our president is committed to the success of this population. But don’t be fooled. Giving people a second chance will never be achieved by one reform law. However, it can be prevented by other social policies that don’t give people much of a chance at getting or staying healthy. 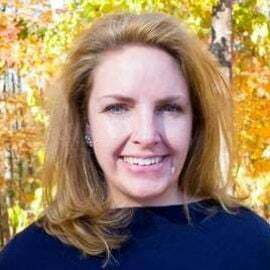 Chandra Bozelko is the Vice President of the National Society of Newspaper Columnists and writes a nationally-syndicated column for Creators Syndicate. You can follow her on Twitter at @aprisondiary. Bozelko describes herself as a freelance thought leader, writer and formerly incarcerated woman.